ePublishing Knowledge BaseePublishing Knowledge BaseePublishing Knowledge Base Creating and Managing EventsHow do I create and use event templates? Event templates are used for events that are created frequently, like a regular monthly webinar. 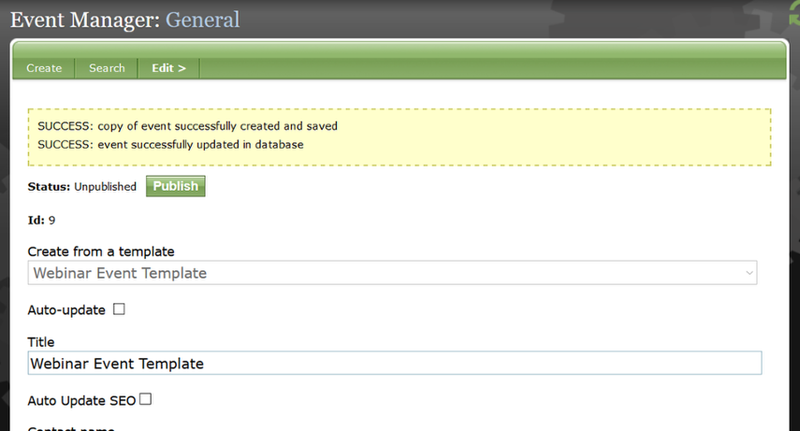 Using an event template allows you to save time entering data that seldom changes from event to event. Creating content using a template can also allow site administrators to know that all content created with that template has the necessary taxonomy selections, default content, and image file associations (where applicable). Any change to the template can automatically be applied to all content created using that template. There is no limit to the number of templates you can set up. 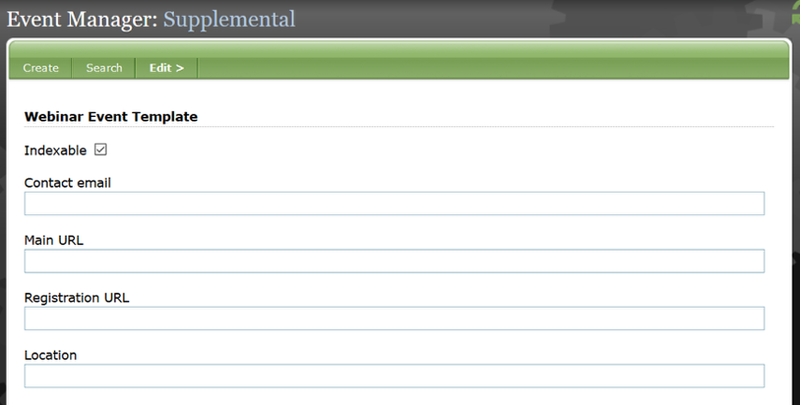 Create a generic event that has all of the taxonomy selections and other general data completed. Learn more about creating an event: How do I create a simple event? Click CREATE, and go to Supplemental. Update the event’s Supplemental data, as necessary, and hit SAVE. Zoom: Update the event’s Supplemental data, as necessary, and hit SAVE. Return to Edit > General. Review and verify, and then click the SAVE AS TEMPLATE button at the bottom of the page. 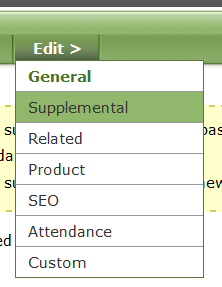 Confirm that the generic event has the necessary taxonomy selections, checkboxes, and any default content that will be duplicated across all events created with this template. Click the SAVE AS A TEMPLATE button. To use the template, select the CREATE link within the Event Manager. 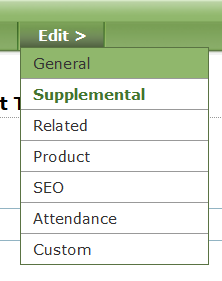 Select the template name from the Create from a Template dropdown. 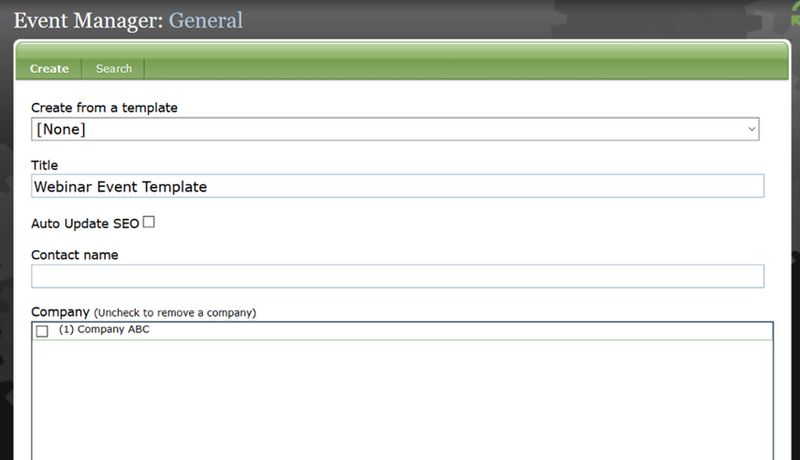 Zoom: Select the template name from the Create from a Template dropdown. The new event will be created using the template. Note: The event’s name will default to the event template title. Don’t forget to change the event name, as well as the beginning and ending dates and time, after your event is created. Update the event using the instructions in this article: How do I create a simple event? Zoom: The new event will be created using the template. Prev: How do I create group sales discounts for events? Next: How do I add a link on my event page to a third-party registration website?